Is catching em all getting expensive? 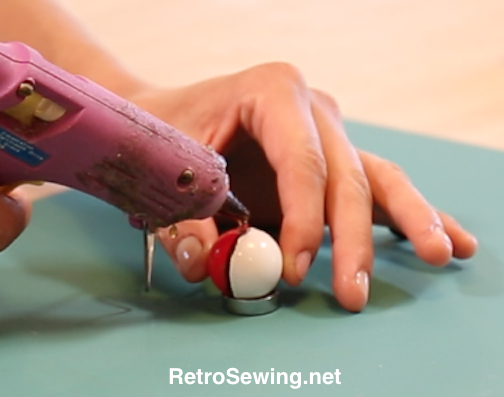 Make your own Poke Balls! 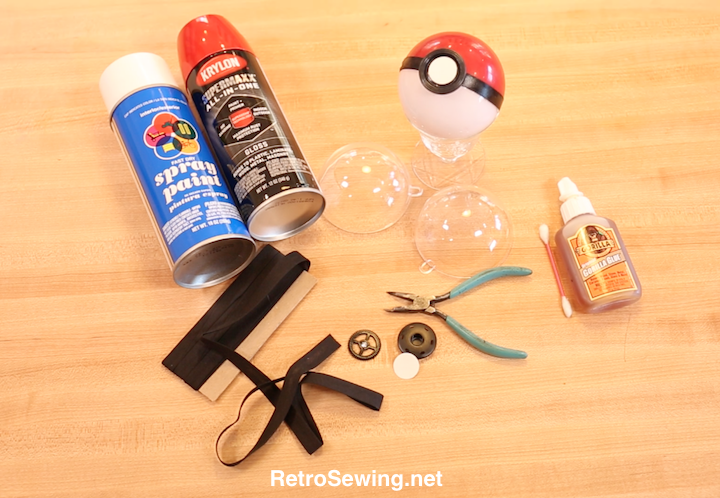 You can make Poke Balls DIY from many different items. Ping pong balls, tennis balls, pool table balls, globes or round items such as christmas ornaments large and small. Just take a look around your house and garage and see what you can find. Also many options for the black ring around the middle and for the black and white buttons. 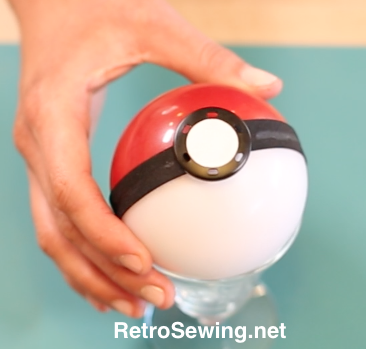 This size is traditional for the classic Poke Ball, but below you'll find directions for a small doll size Poke Ball and a variety of other Poke Balls. There are many! 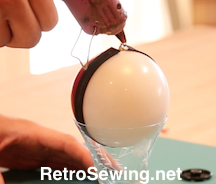 Make this beautiful, easy, cheap, Poke Ball in just a few minutes. 1. 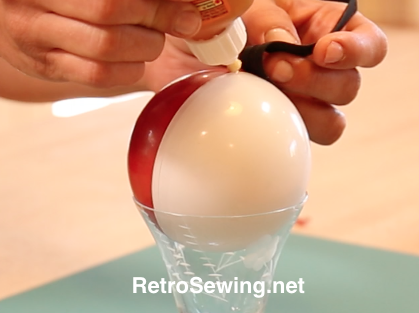 Open the clear plastic globe and paint one half with 3 or 4 thin layers of white spray paint, and spray the other half with 3 or 4 thin layers of red spray paint. Because the paint is on the inside of the ball the finish is protected from scratches by the hard plastic. Also the plastic is shiny just like the classic Poke Ball. Be sure to paint in well ventilated area or outside. 2. Snip off the hook at the top. Be sure to wear eye protection in case of flying plastic. 3. Close the globe and carefully place a line of super glue across the middle of the globe where the ribbon will be placed. 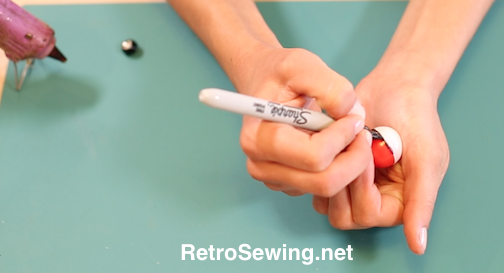 Spread glue with with a tooth pick just where the ribbon or bias tape will go. Place glue no more than a half at a time and smooth ribbon on with finger. I like to use Gorilla glue, Super glue or equivelent, rather than hot glue here. The Gorilla glue is more forgiving and allows time for spreading and smoothing, but either will work. Careful not to get it on your fingers and then transferring to the ball. It can get messy if not careful. 4. 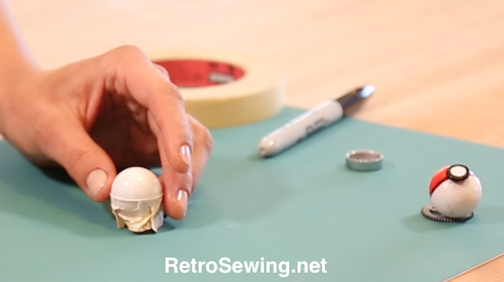 Use a large spot of hot glue on the middle of the ball where the ribbon meets, and press large black button down onto the glue and press lightly until dry. Could use Super glue or equivelent too, but allow more time to drive and use plenty. 5. Use Super glue or equivalent to glue paper. If doing a button use hot glue ideally. Paint Options: Other types of paint to consider (acrylic, fingernail polish, whatever you have. Button Options: The classic Red & black Poke Ball is displayed in this example, so we used a black button and a white piece of gloss paper. You could use black and white poster board, or whatever you can find that you like. Get creative. 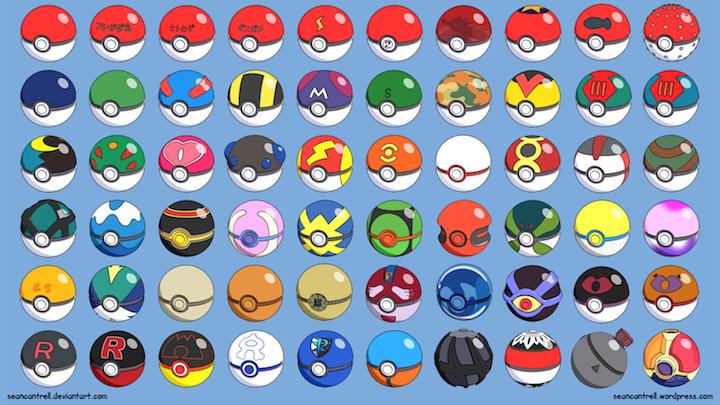 You can also change the style to Steam punk style, bedazzled, or do a completely different Poke Ball (see photo at the bottom of page for examples). Sky's the limit! Ribbon Options: Black bias tape was used in this example. Black ribbon was used in another in the photo at the top of the page. Many other possibilities, such as black craft tape, or black tape of any kind. Black paint or marker could also be used. Small white Paper circle hole punch, or small white button, or whatever you have or like. Options: If you're not concerned about accuracy, try different looks. Different sizes, and different colors. Get creative! 1. Mask the ball along the center line, smoothing and creating a cup as you go. 2. Spray 3 or 4 light coats of white paint. Let dry, and remove the masking tape. 5. 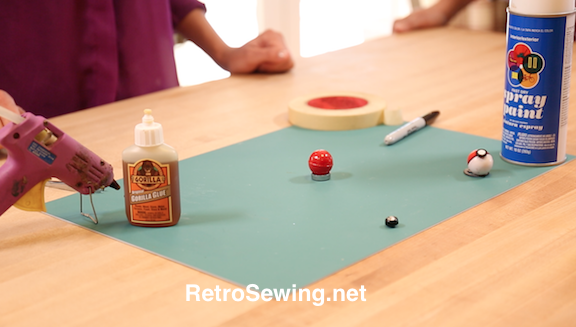 Glue white circle to center or get creative and try something different. In this example a black button with rhinestone in the middle is used. 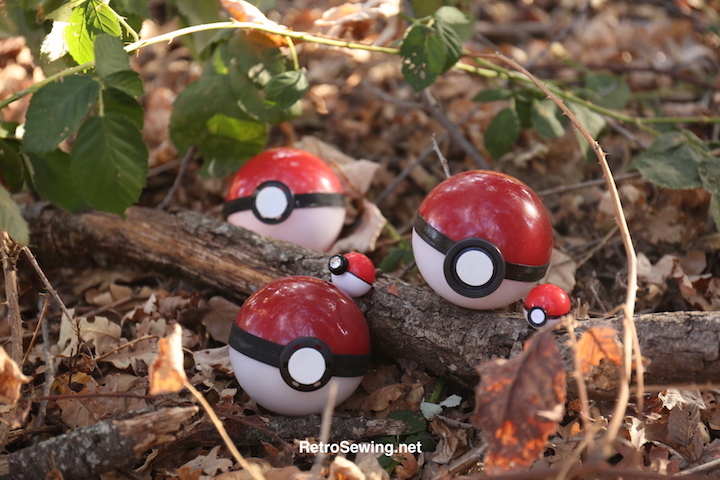 The Poké Ball is a spherical device used by Pokémon Trainers to capture wild Pokémon and store them in the player's inventory when not active. 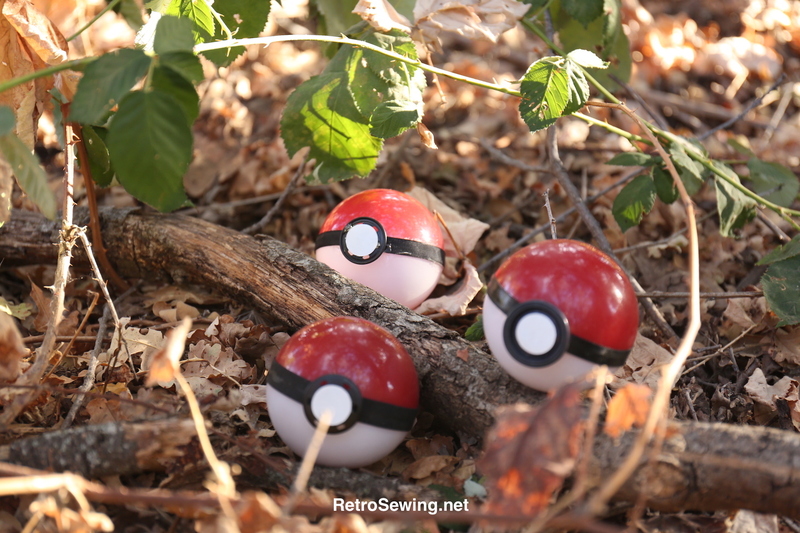 Upon contact, the balls draw a Pokémon inside and then close automatically. 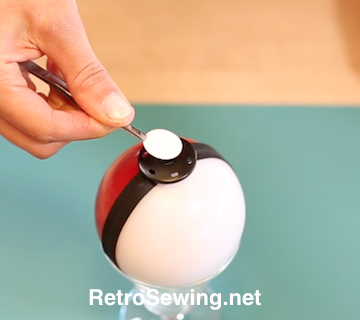 There are many more Poke Balls that make great DIY crafts.